Usually, when developers talk about PC ports of big games, they emphasise top-tier performance. The best possible graphics, the highest resolutions. God rays, 4k, a million frames per second. 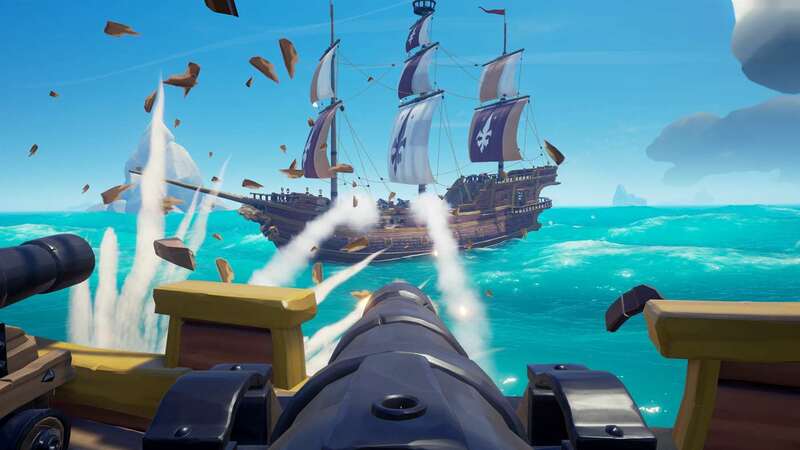 Rare, though, has taken a different approach with Sea of Thieves. The game, Rare says, will run capably on a whole host of different PC configurations thanks to a long-running technical alpha test that allowed the developer to optimise for a variety of PC configurations. 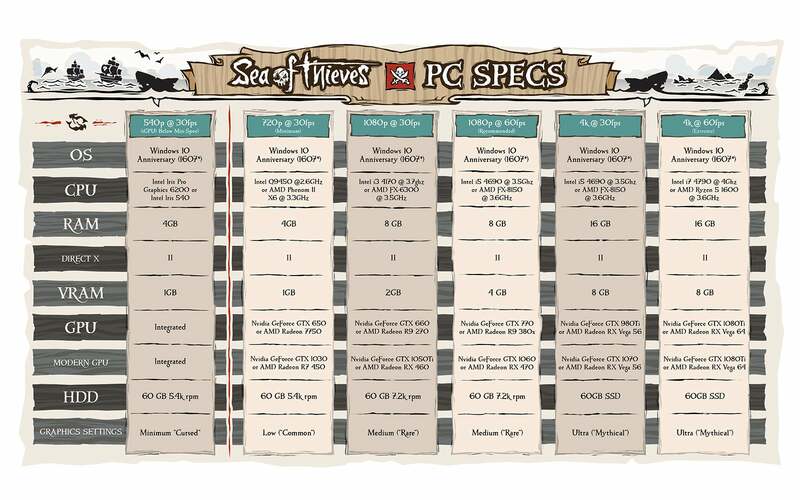 "Our rendering team set themselves the goal early on of 'how low can we go,' sometimes also referred to fondly as 'getting the game running on a potato,' which is why we want to deliver a great version of the game even for those with computers below our official minimum spec," Rare wrote on Sea of Thieves' website, adding that while the game is playable on low spec laptops, it will of course look extra nice running on a high spec machine, as well. Sea of Thieves will be out on March 20. Interesting way of writing up a specs sheet, including both older and modern GPU's, i like it. The store is a dog’s breakfast. It’s awful, I agree. My 18 month old baby has more appealing nappy rash than the Windows store - but for God’s sake, don’t deprive yourself of a game just over a philosophical objection. Where's the requirements for 90fps. I have got a really good feeling about this game! Seeing GTX600 series in old GPU, 2012 really? I wished I had the 600 series while I convinced myself my 500 series card was good enough! I played the beta, there's nothing crappy looking about it. Ok. I'll concede. Basic at best. I mean it makes sense, the game looks gorgeous, but it still seems to have so few moving parts. I dare say that this means MS are hoping for longevity. Which would be nice, but probably also means microtransactions are on the horizon. I'm saying hats and costumes day 1....the question will be will it have loot boxes? They already announced microtransactions will be added after launch. They said cosmetic items only and no loot boxes. Not sure if this has already been mentioned, but the $100AUD price tag is a bit of a bummer, any chance MS will bring it down to US parity ($60USD/$76AUD)? Except for the limit of 16 players per map instance, so its more wheres wally than playing pirates. Hopefilly they have a good single player campaign, or up the servers to about 36 players so you can have more than 4 ships.